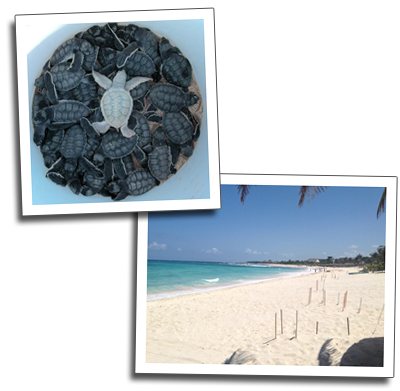 Aventuras Akumal is the second largest turtle nesting beach on the Riviera Maya coast. The nesting season starts in April and continues through July. The gestations period for these eggs is about 60 days. The Loggerhead Turtle and the Green Turtle are the two primary species that nest on the Akumal beaches. 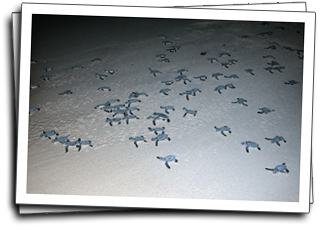 If your visit to Villas DeRosa falls anywhere within the window of April to September, you will see turtles on the beach in front of Villas DeRosa. Please ask at our front desk for tips on viewing this spectacular natural even. 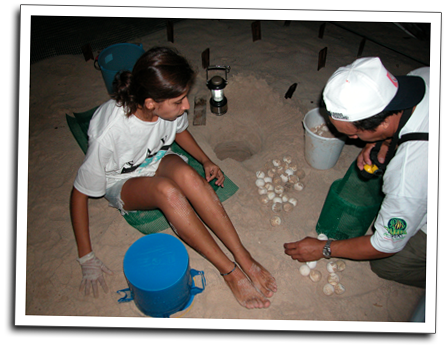 Please be aware there are cautions to observe while viewing both the laying of these turtle eggs and the hatching the baby turtles.